I was the person who had the idyllic pregnancy. I didn’t have too much morning sickness. I had no scares. I had no pregnancy complications. I even managed to cycle the 5 miles to work every day until I was 33 weeks pregnant. And yes, I was probably insufferably smug. Friends gave me a book on how to train my baby (although they didn’t call it that). My mum said she’d make the two and a half hour journey up to see us at least once a week. I had a TENS machine and I had decided to have a homebirth, because it appealed to the slightly alternative and contrary part of me (I would love to say I based it on research, but that wasn’t really the case). I really couldn’t see how anything could go wrong. How I’d cope with having a baby was never, ever discussed with anyone – it just wasn’t something we thought about. So I had a wonderful birth. If I could do it again, I really would. I loved giving birth! I loved the midwives who helped me. I loved my husband who supported me. I loved everything about it. Everything apart from my son, that is. When I looked at him I didn’t feel the way I expected. Far from it – he felt like an alien, and I was scared of him. I wish I had known then what I know now, which is that around a third of new mums don’t bond immediately with their babies, but it set up in me a sense that something was wrong and I didn’t tell anyone. After my rockstar birth I decided I could carry on the way I always had done. So I went out for coffee with a mate when Nathan was 2 days old. I walked 7 miles up and down hills when he was 6 days old. My husband was starting a new university degree and had to leave us after a week. Neither of us thought that would be a problem, we had no concept that it wouldn’t be fine. I was very far from fine, but I had no clue. I pushed myself to do things despite having a baby who cried a lot. The anxiety drove me to the GP’s to get him diagnosed with silent reflux. That same anxiety also made me doubt that the medicine was really working so I never stuck with it. When I was still bleeding at 10 weeks, my health visitor suggested that maybe I should stay in more, because we lived in a 4th floor flat. I ignored the idea, since I had been so fit before I gave birth I couldn’t believe my body could be so vulnerable now. I forced myself to groups, where I just felt disconnected and isolated, but pretended that I was OK. I cried at the number of places I had to leave because Nathan just wouldn’t settle. I got a sleep expert in to help me ‘train’ Nathan, convinced that if I had better sleep it would all be ok. Not being able to train him the way I felt I should made me feel even more of a failure. Perhaps if I had heard of postnatal anxiety, that might have made more sense to me, but since I never thought of killing myself I knew I wasn’t depressed. So I felt like a bit of a fraud when people talked about postnatal depression, even thought I felt completely overwhelmed. No one saw how bad I was feeling, and it wasn’t until I started screaming at my husband one evening that I decided to get help. I took my health visitor’s advice and self-referred to the Edinburgh Postnatal Depression Project. It felt like an admission of weakness. I was officially a crap mum, despite having such an amazing start. I had two and a half years of group therapy, and one of the best parts of that time was having a group of people who really understood what I was feeling. They had maybe felt something similar too, even if it wasn’t for exactly the same reasons. It was such a relief to finally be able to cry and actually have some relief from my relentless thoughts. I wasn’t totally ‘cured’ after going to the group – but it held me well enough to start breathing again. A big milestone for me was whether I could contemplate having another child. Could I bear ruining my life again? The group encouraged me to do more for myself and shortly before Nathan turned two, I went away for a week’s walking holiday by myself, on the Camino de Santiago. This was a pivotal moment for me. I felt free again, as though my world had expanded. I realised I could still be me, despite being a mum (I would now change that to ‘and be a mum’ but I wasn’t at that stage then!). It gave me hope that I wouldn’t always be stuck at home with a demanding baby. It helped me realised that I could find ways to breathe again. I became pregnant within a week of returning to the UK. It felt as though my body was confirming something that my mind was starting to believe… I could do this parenting malarkey. I could be a good enough mum. And so now, 9 years later, I am passionate about supporting other mums to find their groove too. I wouldn’t go back to life pre-Nathan, not for anything in the world. His name means ‘gift’, and learning how to become his mum is a gift I am massively grateful for. And that is my hope for every mother – that being a mum would feel like the very best thing they could have ever done. 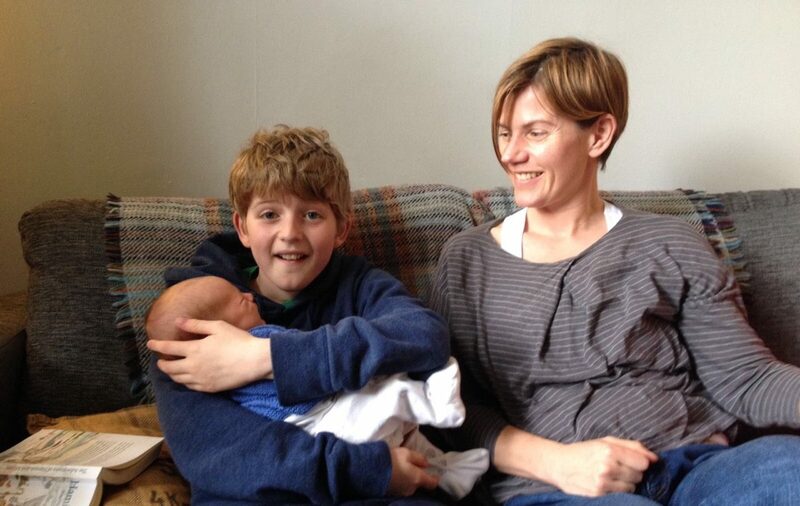 Sarah Wheatley lives by the sea in Edinburgh, with her partner, 2 kids, cat, fish and a frog. Sarah is a counsellor and parent-infant therapist who works with women during pregnancy and after their babies are born. 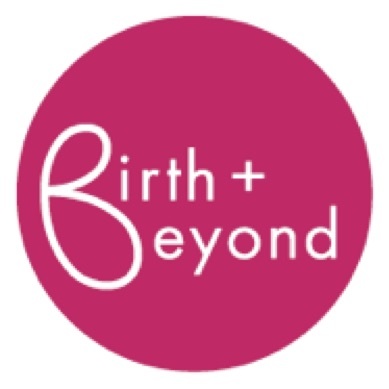 She is passionate about promoting emotional wellbeing in mothers and reducing the risk factors that can lead to perinatal mental health issues, which is why she set up Birth and Beyond and also works with Juno Perinatal Mental Health Support in Edinburgh. ← Does my anchor ‘hold within the veil’?